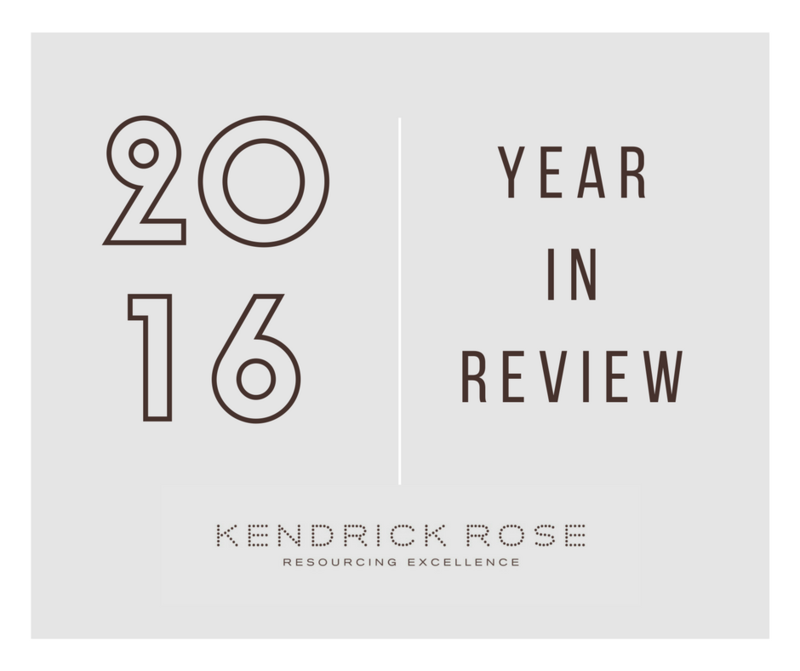 Looking back on our blog from last January ‘Shelley Kendrick's Synopsis For 2016’ it is interesting to reflect on our insights. Many trends have come to fruition but many continue to remain in flux. Looking ahead to 2017 we feel the outlook remains the same, with many trends continuing but becoming even more magnified as we journey on towards 2020. Last year, we said that businesses were growing and seeking to develop alternative streams, with new vacancies being created. Indeed, public sector employment was up by 1,600, reflecting the new growth in 2016. At Kendrick Rose we continue to work with a number of new clients who have opened offices in Jersey - the island continues to be an attractive option for setting up a business, especially in the digital and IT sector. However, the finance sector continues to dominate, with almost a quarter (22%) of all employees employed in the finance sector (13,020). As we predicted, last year’s demand will still outstrip supply in the same critical areas of funds and real estate administration. We see the greatest number of employees in trust and company administration employing 4,870 people followed by closely by banking 4,400 people. At the start of the year, as in 2016, we are seeing a number of new roles being created at a very senior level. The demand for the candidate with the right qualification but more importantly the right ‘fit’ continues to be on most employees New Year wish. Last year, we felt the recruitment and selection processes within many organisations were far more stringent, with employers adopting a range of interview techniques, often incorporating psychometric ability testing and personality profiling to ensure they really are getting the ‘right fit’. This continues to be key. Many IT and tech companies are adopting a less formal style of working with the 9-5 paradigm out on it’s heels. In 2017 we will see an even bigger emphasis on companies encouraging a collaborative working style with open eating areas designed for greater interaction, for example. Last year we noted that Jersey, the population itself, housing and government legislation would raise its own challenges for employers and has an impact on recruitment activity. This remains the case for 2017 with certain sectors struggling to get licenses for the staff they need, particularly in hospitality and retail. The States this year has promised to limit immigration to 325 people a year. This new ‘Population policy’ promises a review on how licenses are retained and obtained. The temporary law would give the government more control over the number of migrants coming to the island. Assistant Chief Minister, Senator Paul Routier, wants to control the number of licenses to non-locals while maintaining a workforce that can support an ageing population. 2017 – Watch this space. It could be a long road as Islanders have been asked for their input before a 20-year plan is proposed. There is always going to be a skills gap, given the limitations of a small island seeking to ‘curb’ immigration, not to mention ‘brain drain’ with our home grown talent continuing to leave the Island at an alarming rate in order to gain experience elsewhere. In 2017, no doubt, we will continue to find the need to recruit for roles requiring specific skills and experience which often, can’t be sourced locally. Investing in youth, fostering job creation and organic growth, together with promoting effective use of skills in the local market should continue to be a key policy objective for both government and employees in the future. Last year, we at Kendrick Rose supported the Institute of Directors Work shadow Scheme; encouraging young people to shadow people and positions they would ordinarily not be able to access. We will continue to be vocal on this subject, questioning the validity of university education for all and encouraging work experience for local talents and opportunities for returning graduates. Given global instability, Jersey continues to be an attractive option for relocation, the work/life balance, low crime rate, lower tax regime and its close proximity to the UK and France. However, 2017 will see no let up in the high cost of living (especially in comparison to the UK) and an increasing strain on public services as the public purse is stretched further. Furthermore, 2017 will continue to present challenges in housing restrictions which are often critical factors for individuals considering a move offshore. In terms of recruitment, we continue to hold our position of being a bespoke agency; finding the best people for the best roles and building on our reputation for quality and service to both candidates and clients.